sentional doors offer a range of real and amazing advantages. Their compact size leaves more available space both inside and outside the premises sentional door ensure a better use of inside space as the side runners vertically move the door along the wall and parallel to the ceiling. 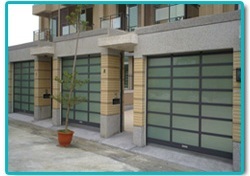 The doors are installed above the opening, thus ensuring a better use of the transit opening. As sentional doors slide vertically, stopping in the proximity of the ceiling, they blend in with the architectural features of the building. Their compact size ensures more available space both inside and outside the premises. 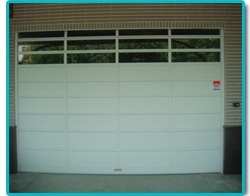 The doors are also easy and practical to use, specially if the original motors are installed. Heat insulation and soundproofing ensured by heat-insulated panels improve working conditions on the premises and ensure energy savings. Light and aesthetically pleasing environments. The panels can also be manufactured with the addition of practical portholes or full aluminium sections featuring polycarbonate or unbreakable glass panels, wire meshing or air grilles. The design and different solutions offered ensure the door to be aesthetically pleasing and perfectly suited in any architectural environment - from modern and traditional industrial buildings to fine commercial buildings.